If you follow me on Twitter, you saw the #SabraTastemakers tweets and the Instagram’ed pictures of the Sabra Adventure that 9 other bloggers and myself took this week in Richmond, Virginia. 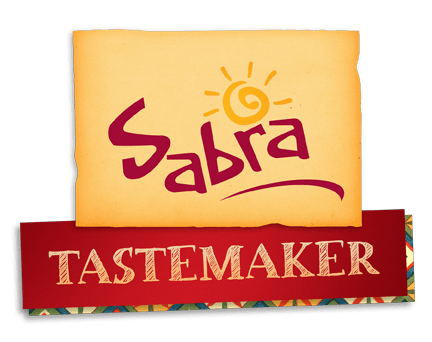 What is a Sabra Tastemaker? It’s someone that loves hummus and wants to share it with the world. It’s someone that cares about the ingredients that go into their food; it’s someone that loves Sabra just as much as the people making it every day at the factory! I am happily a Sabra Tastemaker, along with Smith Bites, Food Wanderings, Cheeky Kitchen, Hungry Hungry Hippie, The Scramble, and LandLopers. Check out their sites for updates on our tour, recipes, and more! Now, on to the food! Our first night together, Sabra treated us to dinner at Bistro 27 and you can view all my pictures by following this link to a Facebook album. The drinks and food were delicious, but even better was the fantastic company during dinner. I had the pleasure of setting in between Debra of Smith Bites and Shulie of Food Wanderings, and the night was spent between laughs, blog chats, and just fun banter. Thank you to Bistro 27 for the wonderful service! The next day, we embarked on a full day of learning about Sabra and its products, learning along the way from Mina Pena and Tulin Tunzel, as well as what you’ll see below by Matt Armendariz, Bronwen Tawse, and MaryDawn Wright. Purchase inexpensive white, almost translucent fabric! A few feet of it that will be big enough to cover a window is enough. This will instantly soften the light streaming in, making your pictures even better (if that’s the look you are going for). Fill Cards. He mentions them and all the other bloggers nod. I raise my hand and say…what are fill cards? (Hey, give me a break! I’m a baker not a photographer! ); so basically fill cards are just that, heavy white card stock that when positioned against the light, bounces it back to the places that need some light. Simple right? And yet such a smart thing to do! We also talked about props and how you can use much smaller dishes in photos; they’ll look fuller and give you a better photo. See that bowl of hummus below? It was smaller than the palm of my hand! Perception is everything and Matt’s ultimate advice is to tell a story. Whatever your story is, make sure your photos tell it. Imagine that someone can’t read the words in your post and all they get to see are pictures. Have those photos speak to them! spices tend to last 6 months to a year, so make sure yours are fresh – smell them and if they still smell like they should, they’re good! If possible, customize your spices blends to your liking. Make lots of curries? Make a unique blend by playing with the rations in each spice. Peter Bahlawanian and wife Bronwen Tawse opened a Silver Lake spice emporium called Spice Station on November 17. The shop is near Sunset Junction, down an alley in a former antique furniture shop. The couple sells about 140 spices, herbs, salts, peppercorns and chilies, which are available by the ounce, quarter-pound or pound. Make sure to check them out on Facebook and follow them on Twitter! MaryDawn probably has the best job on Earth. She’s the Executive Chef for Sabra and okay, her job isn’t just eating hummus all day, but she works with developing flavors, textures, and products as the company grows. 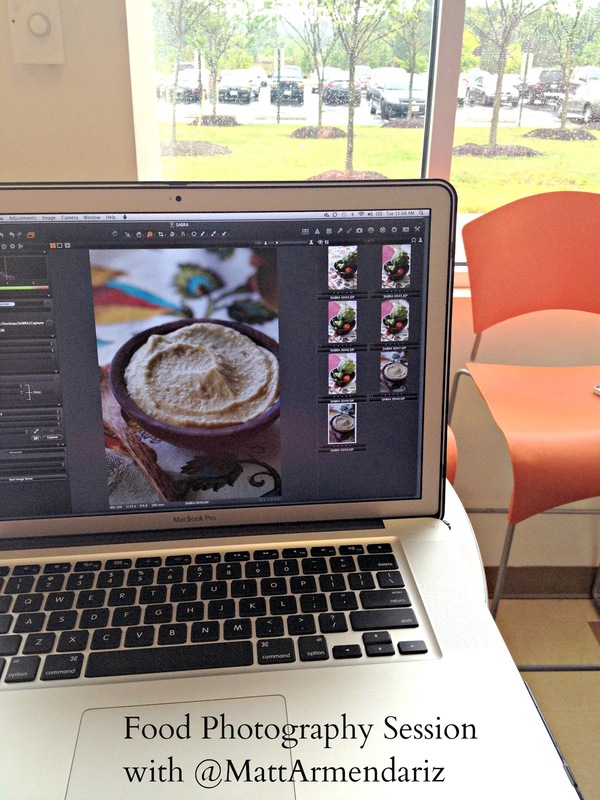 We had the pleasure of chatting with MaryDawn and asking her a few questions, as well as tasting some new and upcoming flavors of Sabra Hummus! When I asked MaryDawn about her previous experiences and how she became the Sabra Executive Chef, she recounts that she’s classically French trained, having worked in world-renoknowed restaurants and alter on owning her own food company. We all marveled at her job, because honestly, we all wanted it! 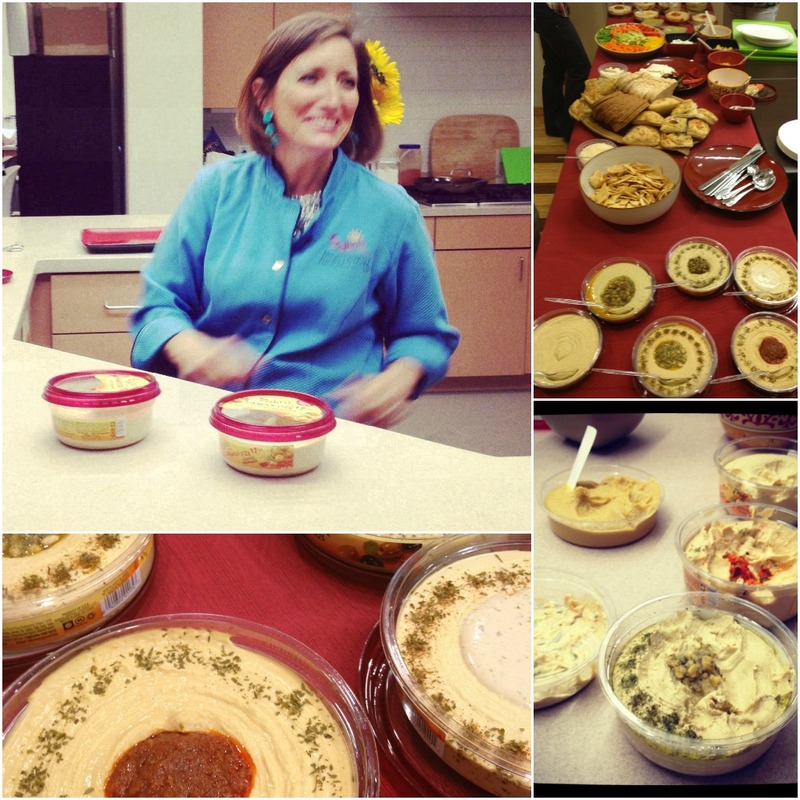 As we tasted a variety of hummus, MaryDawn talked to us about the products that go into it; how the chickpeas are grown int he USA and that each product is carefully selected to make the best hummus possible. We even tasted hummus right off the factory line, about 15 minutes young! After all the tastings, came what we thought was lunch (but was actually lunch #1! ); MaryDawn brought out about 20 varieties of Sabra Hummus, cold cuts, cheeses, vegetables, and more condiments for us to create our signature Sabra sandwiches. What we actually did? Spoon a little bit of each kind of hummus and create a palate of hummus! Quite delicious! Off to check out the inner workings of the factory we went, but no pictures were allowed. Let me just tell you that it was VERY clean and the employees were extremely proud of the products they made. It was fantastic to see so much love go into a food product! You also see a new badge to the right of this, my Sabra Tastemaker badge that links to the Sabra website. Another fun addition to the blog will be a few posts about Sabra, including my experience during the factory tour above, as well as recipe creations I will be developing with their products. For full disclosure, I am a paid Sabra Tastemaker and will be sharing my experience with the brand and their products, but as always my opinions are not swayed by endless amounts of hummus! 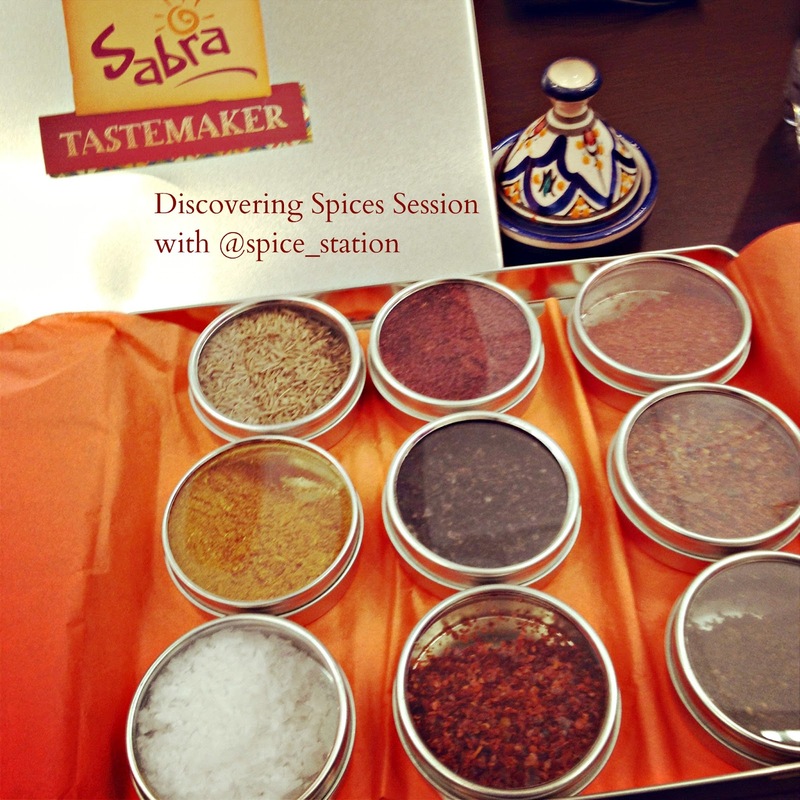 Check out Sabra on Facebook and follow them on Twitter for updates, recipes, and more! It looks like you had a lot of fun. Love hummus. Maybe there shuld be a Cooking With Books flavor of @sabra hummus. What flavor would that be? Great photo techniques & wonderful post! Glad to see you had a great time, Nelly! Thanks for sharing! Awesome Nel!!! I thought of you tonight when I picked up some more Sabra hummus at the market What a fun experience for you! I should try hummus again, I haven’t had it in a very long time. My Mom loves it so much that I think she could live on it. Really cool event, glad you were able to attend. ahahaha Nelly very comical they way you wrapped up the post & I totally agree MaryDawn got the best job. Great recap. Was so much fun meeting you! Sounds like a blast! Enjoy your endless amounts of hummus! What a great workshop! I did follow your tweets/instagrams during your trip. Loved every minute. Great job Ms. Tastemaker! And well done, Sabra! i couldnt believe that wasnt lunch…so funny…anyway, it was awesome meeting you and i cant wait to read more. if you ever stray west from martha’s vineyard hit me up! !